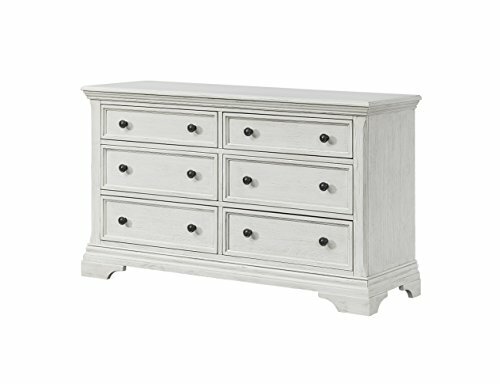 Buy Westwood Design Olivia Double Dresser, Brushed White at Discounted Prices ✓ FREE DELIVERY possible on eligible purchases. The Westwood Design Olivia Double dresser has 6 drawers for all dressing and changing necessities. This Double Dresser is compatible with the Olivia convertible bookcase for a complete look for any nursery. A changing kit is also available so you can use the top of the dresser for a changing station. Kit is sold separately. The double dresser chest has wooden dovetail drawers, concealed ball bearing glides, and features traditional furniture construction. 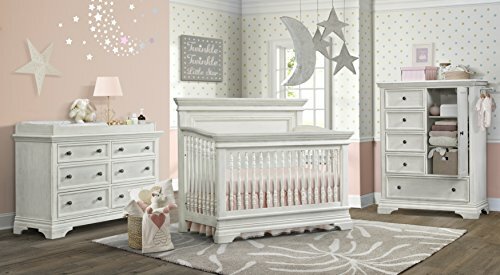 Perfect for the nursery and beyond from child to adulthood.56″w x 33.25″h x 19″d.Beautiful Brushed White finish.